The metal stamping process includes several techniques such as punching, bending, piercing and blanking. Metal stampings of several metals can be found in the market such as stainless steel, aluminium, brass, nickel, fine silver, pewter and gold. 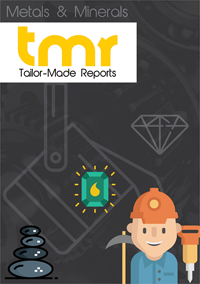 For this, the industry show traditional dependency on the supply of different metals and cost fluctuations of these metals significantly impact prices of metal stampings. Led by increased demand for metal stampings, manufacturing process of metal stampings has integrated technological innovations to meet the increased demand. The advanced manufacturing processes also aid in achieving regulatory and safety standards, waste disposal and sustainability standards and ultimately improving working conditions. In May 2018, Ryerson Holding Corporation, a processor and distributor of value-added industrial metals, announced acquisition of Fanello Industries, a private metal service company based at Lavonia, GA. In March 2018, Ridgeview Industries Inc., a stampings and assembly manufacturer acquired metal stamping facility of Sharp Corp. In 2018, Deshler a provider of warehousing and transportation assembly service provider acquired MSD Stamping, LLC, a metal stamping company located in Livonia, Michigan. KPS Capital Partners Created Autokiniton Global Group. The group later Acquired L&W, Inc. which is a leading supplier of hot and cold metal stampings. Automotive industry is highly dependent on different metal structural components as they play essential role in the development of automobiles. Key components that utilize metal stampings are automotive chassis, transmission parts, engine and different exterior structural parts. Production of automobiles continues to surge with rising demand for lighter and fuel-efficient vehicles. Also, increasing production of autonomous vehicles is promoting engine downsizing which in turn is creating opportunities for metal stamping manufacturers to develop new designs. The metal stampings marketplace has presence of a considerable number of domestic as well as international players. To win over market competition, companies are engaged in delivering advanced services and product customization. In particular, domestic players are actively engaged in providing personalized services to automotive OEMs. The customization service delivery includes products that are standardized as per regulatory requirements. Blanking process involves cutting a rough shape or outline of the metal. While this is a high utilized process in metal stamping, application in the manufacturing chain of automobiles. The blanking process in metal stampings delivers superior and precise quality of stamping, thereby garnering greater revenues in the metal stamping market. In addition, superiority of this process in the delivery of mass production also complements higher demand for metal stampings in the automotive industry. Developing countries with a buoyant auto parts industry continue to present lucrative opportunities for metal stampings. Along the same lines, Asia Pacific region presents gainful opportunities for the metal stampings market. Markets in India and China are expected to grow at a faster pace against the backdrop of rapid industrialization and ongoing infrastructure development. While North America continues to present significant demand for metal stampings, developing economies are expected to emerge rapidly in the coming years.